5 MPH Speed Limit Strictly enforced for the safety of our children and guests! Our staff is super friendly! WE ARE A SAFE GATED COMMUNITY- ARRIVAL BEFORE 6 PM MANDATORY (KEY CARD ACCESS ONLY). PLEASE NOTE: You must arrive before dark to be parked in your site. Thank You. Our restrooms are sparkling clean! Our Laundry & Recreation Room are open 24/7 with key card access. Our Pool is open from 10 AM to 8 PM during the summer weather permitting (Winter hours 10 AM-6 PM). Free Coffee daily until 12 PM. Our Wi-Fi Hotspots are free to our Guests. A fully equipped RV Service Center right next door, provides all your service needs, with “At-Your-Campsite” Service! We are very dog friendly, with 3 off leash pet areas for dogs to play. We do ask that you attend your pets at all times and pick up after them. We have a 2 dog limit per RV site. No pets are permitted in the Tent areas. CANCELLATION POLICY: WITHIN 48 hours there is NO REFUND on nightly reservations. Before 48 hours there is a $10.00 Cancellation Processing Fee. All Cancellations must be emailed by responding to original confirmation. Cabin Deposit: $150 refundable deposit provided there is no damage or extensive cleaning needed after your stay. NO PETS! We do NOT supply bedding, please bring your own. 2 Adults/2 children MAX. Discounts do NOT apply to Cabin rentals. RV SITE DISCOUNTS: Good Sam, AARP, AAA 10%, Active Military 25%, Retired Military 15%. Must have ID @ Check in. Nightly Stays Only. Rates are based on 2 adults & 2 children under 16. Extra fees will apply for more occupants. 1 RV or tent site will accommodate RV or tent and 1 vehicle. Some sites are pull-through, some are buddy sites, some are double wide which means you may have to unhook and park next to your RV. All occupants must be registered at the office at time of check-in. MAX SITE LENGTH 55' INCLUDING VEHICLE. SOME SITES ARE DOUBLE WIDE AND MUST UNHOOK. SOME SITES ARE BUDDY SITES, 1 IN FRONT OF THE OTHER. 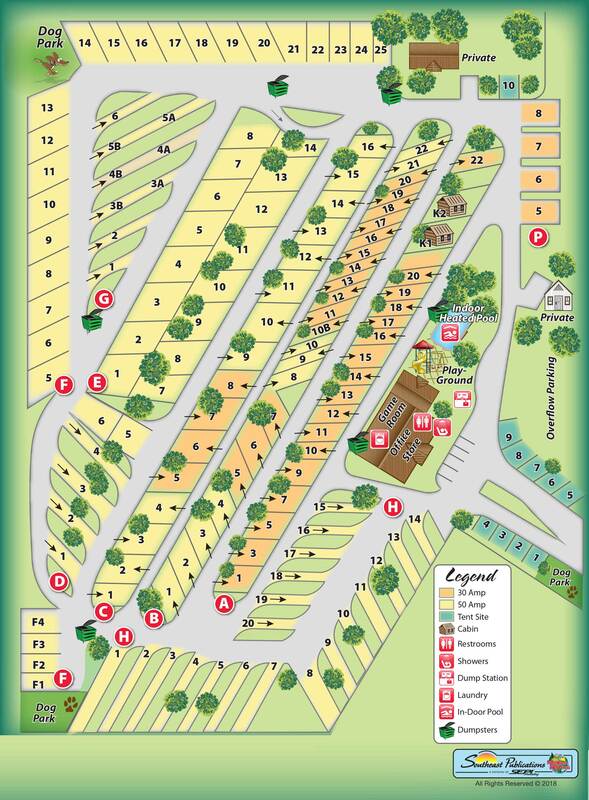 WE HAVE A LARGE WAITING LIST FOR THE BEST RV PARK IN CARLSBAD, NM!